Our literacy work in Bradford has just received a £197,000 donation from the Morrisons Foundation, a charity set up by the supermarket. The grant will support a programme of activity to help boost literacy levels in Bradford, an initiative which has been active in the city since 2012. 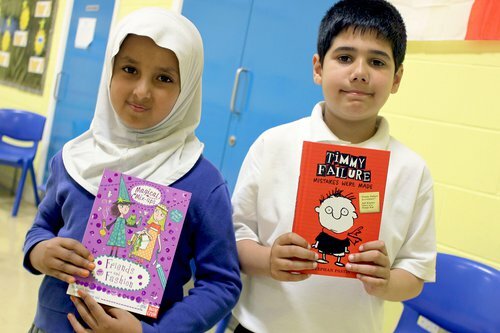 Over the past five years, 30 local partners have supported literacy in Bradford and we have worked with over 200 schools in the area. Key successes include the Our Stories poetry project, which was launched to engage pupils with low literacy, especially boys. Over the course of the programme, the percentage of Year 6 pupils reaching the expected level in writing increased from 46% to 92%, while their self-esteem and confidence also increased significantly. As it moves into a new phase, the campaign, which was previously known as the Bradford Literacy Campaign, will be rebranded as Bradford Stories. The new name celebrates the rich heritage of Bradford and highlights the importance of families, young people and different communities in the city sharing stories with one another. The Morrisons Foundation was set up by Morrisons supermarkets in 2015 and awards grants for charity projects which help to improve people's lives. Since launching over £15 million has been donated to hundreds of charities across England, Scotland and Wales.